Do you know that the healthcare industry ranks third amongst the list of industries for which reviews are most read? Also, 82% of patients consult one or more review sites with some frequency to view or post comments and ratings of healthcare staff. Paired with the effect that online reviews have on the search engine rankings of local business’ websites (you will learn about this as you go through this blog) and you’ll understand why reputation management is crucial for your dental care practice. In this blog, we’ll tell you about the crucial role of dentist reputation management in growing your practice and also give you a complete checklist of how you should implement it. Online reviews are the primary component in reputation management. 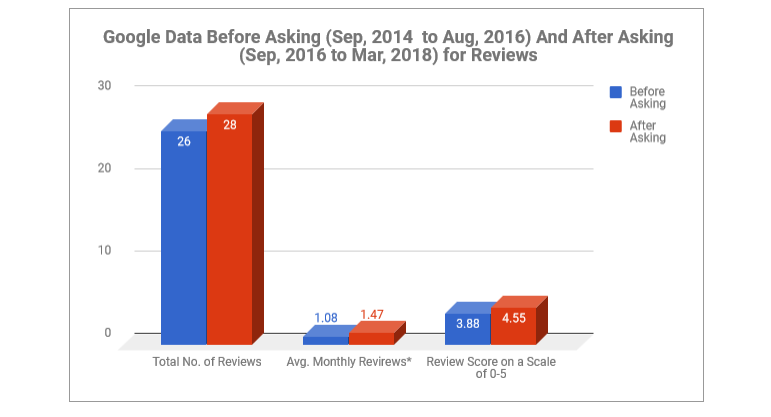 In fact, all reputation management efforts are focused on improving the overall picture of reviews that appear online. Patients make their decision almost wholly based on reviews (for most people, online reviews are as much trustworthy as personal recommendations). Reviews and star ratings also affect click-through-rates** for your website, which is an important factor in your website’s Google search ranking. ** Click-Through-Rate (CTR) refers to how many people click the link to your website after seeing it in the search results. 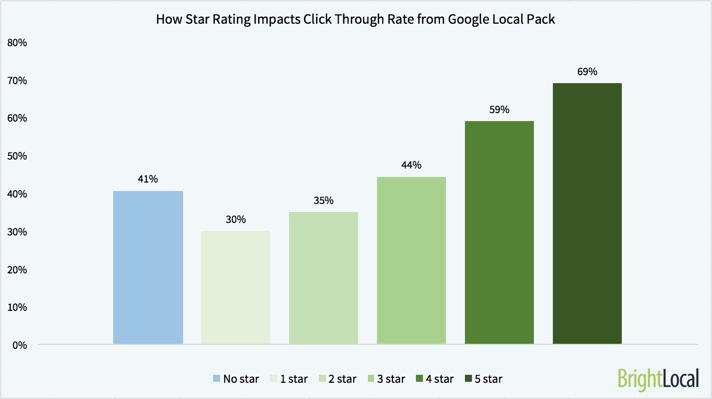 A BrighLocal study suggests that going from a 3-star rating to a 5-star rating gets a business 25% more clicks from Google Local Pack, the most coveted section of Google’s search results that shows local businesses (like your dental practice) to the user query. The total number of patient reviews posted on Yelp saw a double-fold increase during this period. 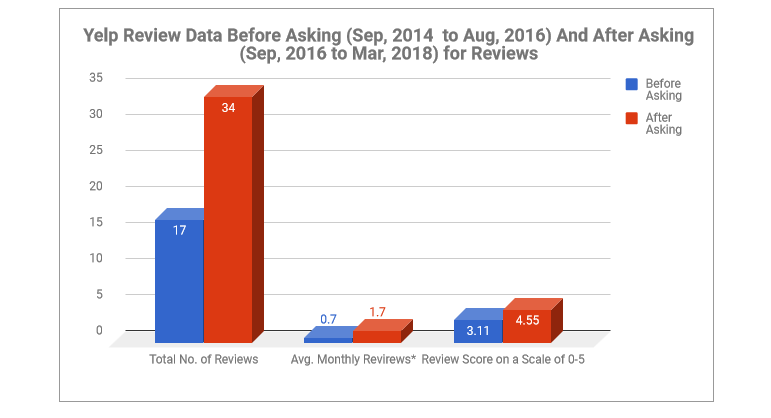 Its impact was also seen in the overall star ratings (see the review score in the bar graph) which increased substantially, from 3.11 to 4.55. Similar results were found for patient reviews and star ratings on Google. Image Credit: GMR Web Team[/caption] Read the complete study on why dental care practices need to manage their online reputation. Helps your practice gain the prominence of appearing into Google Local Pack. Learn More: Why listing your dental practice on GMB is crucial and how you can optimize your website’s listing there. While listing your practice’s business information on various review sites and other local online directories, you must ensure that the information is consistent on all platforms, especially, the name of your business, its address, and the phone number. This is called maintaining NAP consistency. As believed by many SEO (search engine optimization) experts, Google cross-validates the legitimacy of businesses by cross-referencing a business’ NAPs as they appear on multiple websites. Failure in maintaining the NAP consistency might result in losing the confidence of search engines in your dental practice resulting in lower ranking in local searches. Also, a potential patient might use a specific review platform to access your contact number. Learn More: Inconsistent online listings; their symptoms, causes, and treatment. 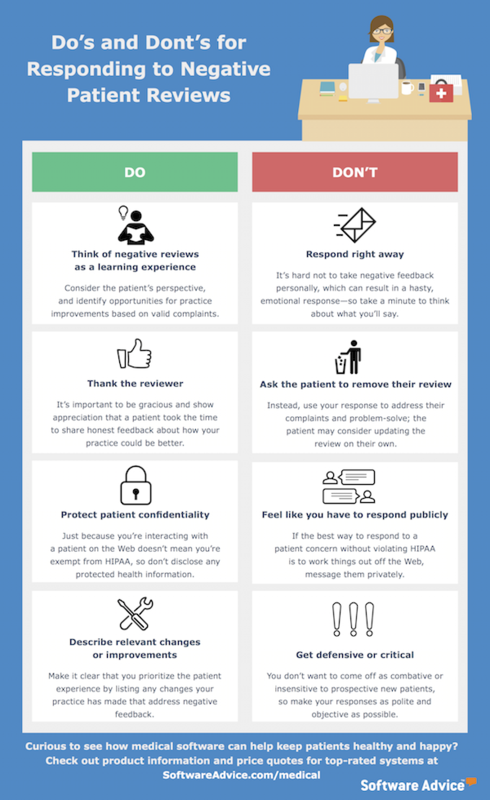 According to a study, 65% of patients feel it’s important for doctors to respond to a negative review. Show customers that you are willing to go the extra mile by directly addressing their concerns publicly and extending a hand to solve the problem. The study also lays in some Dos and Don’ts for doctors and healthcare providers while responding to negative patient reviews. Find them in the below-given attachment. A few negative reviews are not always a problem. Quite the contrary, they provide opportunities to turn unhappy patients into loyal ones. A few negative reviews on your profile increase engagement as they inspire patients to explore more, which buys time for you to convince your patients to convert. A Neuromarketing blog states that consumers interacting with few bad reviews spent 5x as much time on a website as those who didn’t and that they converted at an 85% higher rate. Also, by implementing RepuGen’s reputation management process, you can immediately get notified about negative reviews posted online. It can help you initiate the service recovery process in time, allowing you to address the issues remotely in an efficient and organized manner. That way, you get an opportunity to retain most of your patients. The purpose of implementing online reputation management isn’t limited to only review acquisition. It should also focus on analyzing the collected patient feedback data to identify areas of improvements and make proper changes to improve patient care. RepuGen lets you measure patient satisfaction and view trends by dental care provider and location (in case you are a multi-location practice) to gain insights into where you may need to improve patient care. The role of online reputation management isn’t limited to just improving the review ratings of your practice online, but in the process, it also helps you identify opportunities that allow your dental care practice to grow consistently. RepuGen offers a complete reputation management solution for your dental care practice. Schedule a live demo or call us at 866-246-7891 to learn more about our solution.